According to new research published in the peer-reviewed medical journal BMJ, regular consumption of sweetened drinks can increase the risk of heart failure in men. This is the first time that heart failure has specifically been investigated, although the impact of sweetened drinks on other health issues has been looked into extensively. Research from a 2004 study suggests that adolescents ingested an average of 300 calories per day from sugary drinks, which accounted for 13% of their daily caloric intake. Previous research has also indicated that those who consume one to two cans of sugary drinks per day or more have a 26% increased risk of developing type 2 diabetes compared to people who rarely consume these types of drinks. Another study, which lasted a whopping 22 years and involved 80,000 women, found that women who consumed one can of a sugary drink each day led to a 75% higher risk of developing gout compared to women who rarely consumed these drinks. According to new research conducted by Dr. Susanna Larsson at the Institute of Environmental Medicine, Karolinska Institutet in Stockholm, Sweden, consuming sweetened drinks may also lead to an increased risk of heart failure. Study participants were taken from the Cohort of Swedish Men (COSM). This cohort consisted of 48,850 men who lived in Sweden and were born between 1918 and 1952. The participants completed questionnaires that covered a number of parameters, including physical activity, anthropometric traits, diet, and other lifestyle factors. Before conducting the analysis, researchers removed a number of participants, including those with baseline cancer and existing heart problems. They were left with 42,400 eligible participants who were followed over a 12-year period. Participants were questioned on the amount of sweetened juice drinks or soft drinks they drank on a daily or a weekly basis. Researchers discovered that men who consumed at least two servings per day of sweetened beverages had a 23% higher risk of heart failure, compared with nonconsumers. Despite adjusting for potentially confounding variables such as weight, caffeine intake, physical activity levels, hypertension, smoking, and fruit and meat intake, the results were still the same. Heart failure affects 23 million people worldwide and that number appears to be on the rise, especially in men and the elderly. Currently, the survival estimates for heart failure patients are only 50% at five years and 10% at 10 years. 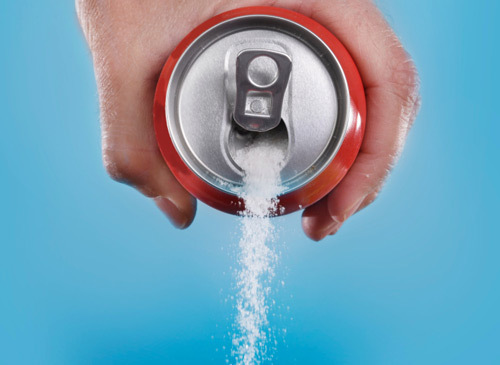 Newman, T., “Consumption of Sweetened Drinks Now Linked to Heart Failure,” Medical News Today web site, November 3, 2015; http://www.medicalnewstoday.com/articles/301877.php. Larsson, S., et al., “The relationship between sweetened beverage consumption and risk of heart failure in men,” BMJ, published online November 2, 2015, doi: 10.1136/heartjnl-2015-307542.